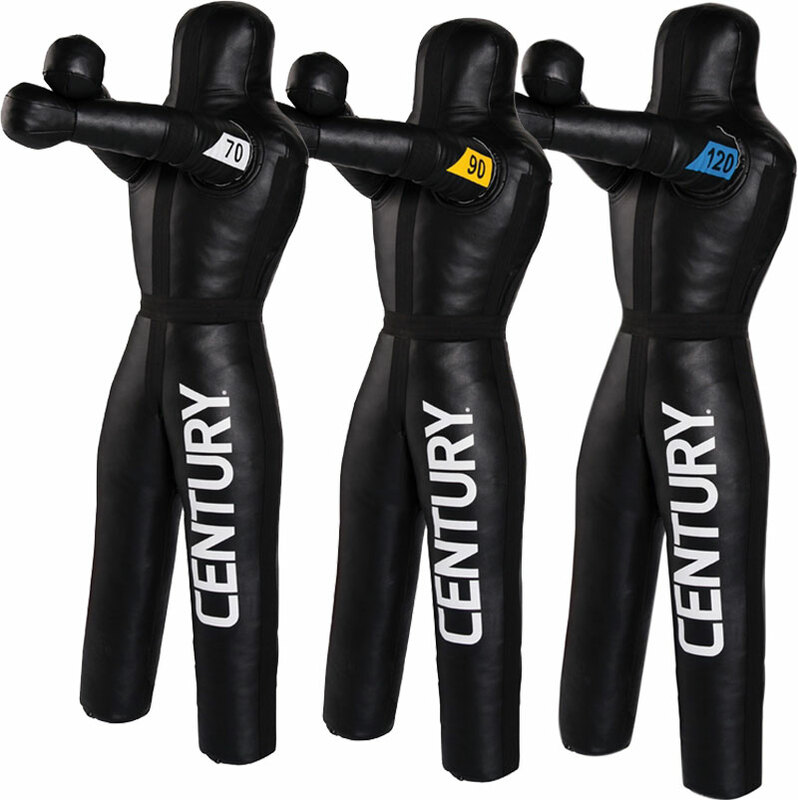 Century ® Grappling Dummies are ideal for practicing throws, take downs, submissions and grappling techniques. Reinforced, laced stitching at seams and stress points. Posable arms for self defence drills and submission manoeuvres. Arms are complete with vinyl reinforcement and three rows of stitching. Thick cut vinyl for optimum durability. Available in 70lb - 62" tall, 90lb - 66" tall or 120lb - 72" tall. Not suitable for combat training using weapons, ie batons. A first class product delivered on time. Perfect! You can do everything with this - strikes, knees, kicks, elbows, lock, trap, take-downs and throws. Well pleased!